In a bid to reduce travel time for trains running on the Golden Quadrilateral network, the Indian Railways is reportedly conducting several high-speed feasibility tests, Financial Express Online reported. 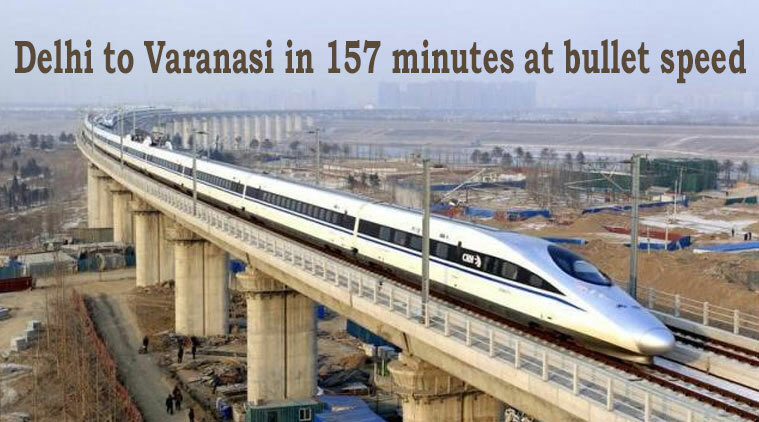 One of the draft reports from the test for the Delhi-Kolkata stretch says that the distance between Delhi-Varanasi will be covered in 2 hours and 37 minutes in a bullet train. The same study goes on to say that the distance between Delhi-Lucknow will be covered in 1 hour and 38 minutes. “This study is being done by three Messrs – Spain’s INECO, TYPSA and ICT. Right now the draft final report has been submitted to Railways. Various divisions will now study and give their inputs, which in turn will be incorporated by these firms in their final report,” Anil Saxena, Indian Railways Spokesperson, told Financialexpress.com. He added that the final report will be submitted to the Railway Board in a couple of months. “The final report will be submitted to the Railway Board in 2 months time and after that, a decision on the project will be taken,” Saxena told the news website. As per the report submitted to the Indian Railways, the overall cost of the project is estimated to be around Rs 1.21 lakh crore. The Delhi-Varanasi corridor, if flagged off in 2021, is expected to complete in a span of 10 year and cost cost around Rs 52,860 crore. And the Delhi-Lucknow stretch will be completed by 2029. It adds that the maximum operational speed of the bullet trains is being considered as 300 km/hr, while the commercial speed will be 250 km/hr. The average base fare of the train, as per the report, is expected to cost Rs 4.5 per km. Passengers on the Delhi to Varansi route will have to spend Rs 3240, while the fare for Delhi to Lucknow route will be Rs 1980.